Give yourself a lift…with Soul Insoles! Described as “orthotics with soul”, these insoles are not your typical insole. They are smaller, gel-filled supports that sit under your arches. 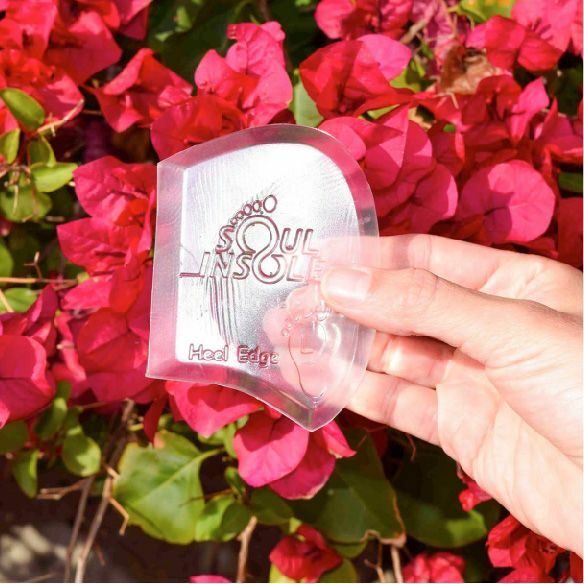 You can use them along with full length insoles or on their own, and they stay in place with a convenient reusable adhesive that allows you to use the same set of insoles in different shoes. Soul Insoles help to redistribute the pressure across your whole foot, thus relieving pressure from your heel and forefoot. They work wonders on painful Plantar Fasciitis symptoms and overpronation. Because of their minimalist design, we didn’t experience any tightness or crowding in our shoes. Though there is a caution that it may take some time to adjust to the feel of these supports, we found them to be very comfortable and didn’t have any breaking in period. For mini arch boosters, try Soul Insoles!